Like many, I'm a total sucker for good package design & branding. 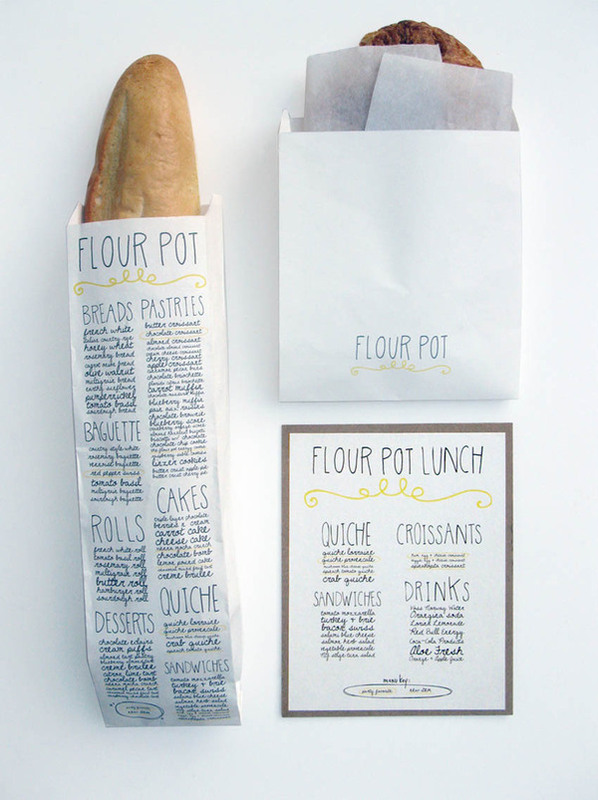 How could these goodies from Flour Pot Bakery not be fantastic when their packaging is this cute. Designed by Sara Nicely. This is so lovely~~~I love it! So, so darling! Worth every bite I'm sure! LOVE it! How cute are they! I'd feel guilty to eat them! you must also know i'm a huge fan of your lovely blog! oh wow how cute is this!? LOVE this, so so cute! I'm a sucker for packaging too and I LOVE this!! It sets a happy tone for the bakery and I'm sure they get wonderful word of mouth business. i'm always a sucker for a baggette... and in that packaging i would have O% chance of walking out without one! Oh I love this! What a clever name and menu, such incredible branding. Plus that bread looks so yummy!! i love this!! i'm looking for something to wrap homemade ice cream sandwiches in...thoughts? You are so right! Nothing better then actually baked bread from the baker. A lot of it is faked now a days and its pretty hard to find a TRUE baker but when you do you better stick with him! bakery with a gift wrapped treat! true story: I kept the packaging to a biscuit I once bought in St. Louis because it was so pretty.